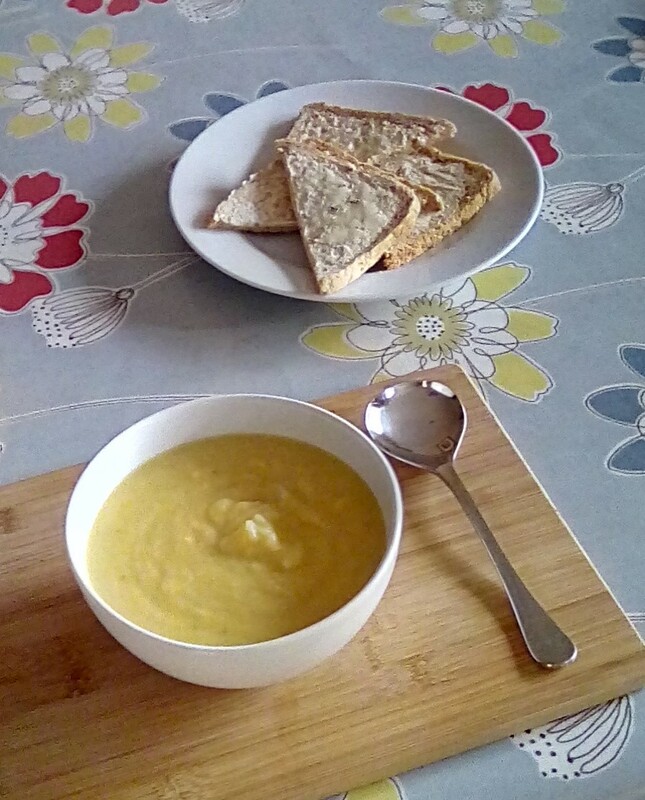 To cheer up a cold Winter’s day try my new seasonal soup, Parsnip and Apple. Made from apples off our trees and herbs from the garden. Serve hot with a dollop of creme fraiche or Greek yoghurt. Delicious! It is so sweet even the kids will love it!